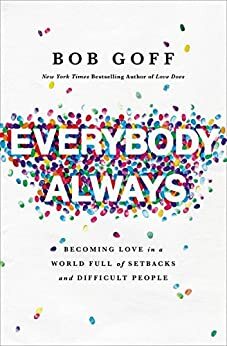 This book is the follow-up to Love Does, where Bob Goff takes readers through a journey where they can learn to love unconditionally. It will help readers live without fear, worry, care, and constraint while having a strong foundation in faith and friendships. Bob masterfully reveals lessons he learned and shares what it means to love without constraints and how it affected his life. I am not usually a fan of "self - help/spirituality" books because they open my mind to different ways of thinking but I struggle with following through with it as time passes. When I first started reading the book, I had a lot of pent-up anger and after reading it I did feel a bit calm. I would have appreciated this book a bit more if they had exercises readers can use on a daily or weekly basis. I did find the "Love Everyone, Always" idea a bit hard especially taking NYC transit during rush hour but it did give me a bit more patience.